Contact DBS to request a free quote. Our crawl space sealing and insulating treatments improve home comfort and energy efficiency during the winter and all year round. Call us or visit our free estimate page to schedule an inspection and quote for crawl space winterization. 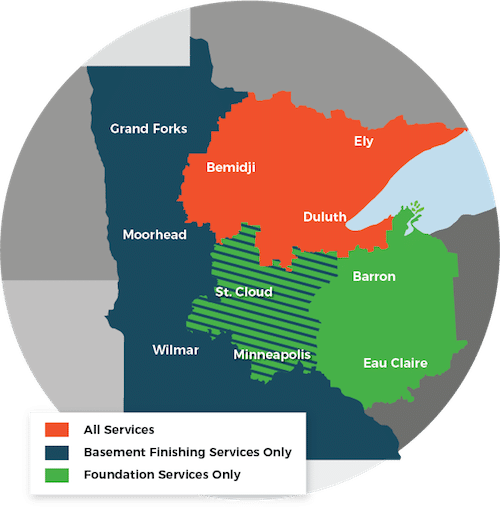 We provide a wide range of crawl space repair solutions to homeowners in Minneapolis, Superior, Duluth and many areas of Minnesota and Wisconsin.